Africa Calls Co-Director Christina Alfieri spent the morning in the Simien Mountains walking among the gelada baboons in Ethiopia. Check out this video of males challenging each other! While Christina was in Ethiopia in November, she spent the morning surrounded by gelada baboons in the Simien Mountains. 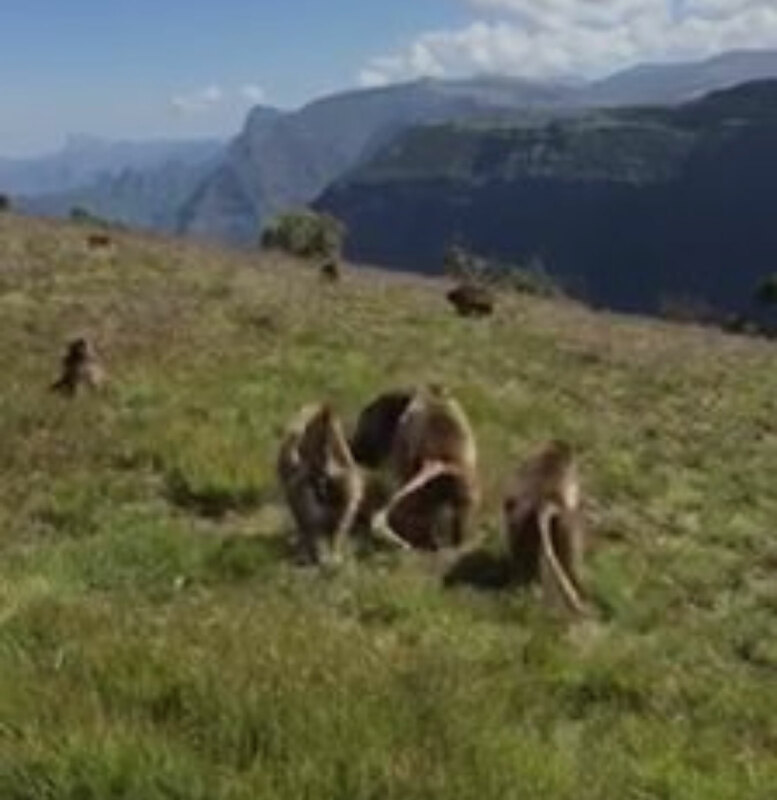 Check out this video of the male geladas challenging each other. Make sure your volume is on.